Any book that starts with a quote by Ken Burns immediately gets my attention. 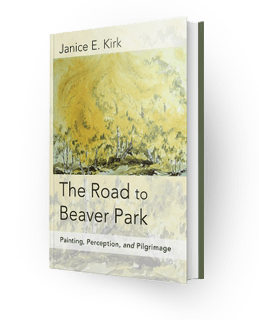 Janice Kirk’s “The Road to Beaver Park” explores land, art and family that culminates in a spiritual awakening – for the author, and quite possibly, for the reader too. The journey may have been taken long ago (1970s) but it is current in its telling. And Janice’s sketches enhance the storytelling. If you need to “get away” for a bit, this is a nice journey to take. In between fishing trips, bug catching, discovery hikes, lizard chasing, fossil digging, photographing, and studying plants, the children are home–schooled, but this is no intellectual exercise. The year–long campout in 16 National Parks and Forest Service sites becomes a journey of the heart. The family grows to love the way the great outdoors is put together. Part travelogue, part natural history, part field course in art appreciation, the author records her development as an artist as she learns to paint and learns to see. To her surprise, a spiritual awakening sneaks up on her, and the journey turns into something more—a pilgrimage. Kirk’s account of her family’s year camping in the southwest is both an inspiring travelogue and timely clarion call. The average school-aged child spends nearly seven hours per day in front of a screen and less than thirty minutes per week outdoors in unstructured play. Beautifully written and joyfully illustrated, The Road to Beaver Park will help you see nature with new eyes. It is no accident that this book’s genesis was a sabbatical experience, for Kirk’s prose and sketches are the fruit of a prolonged Sabbath. By slowing down and stripping away non-essentials, Janice and her family discover the transformative power of rest, silence, and contemplative time spent in the outdoors. 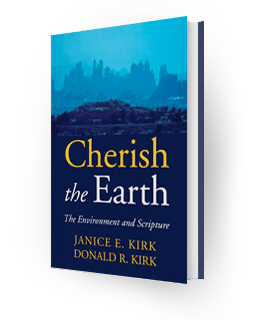 In this she offers a likely solution to our ecological crisis: natural settings inspire wonder, which reveals beauty, which instills a reverence that leads to stewardship. Can a person find God in nature? Winona author Janice Kirk did not set out to answer that question in her travelogue of a year spent camping in the American West, “The Road to Beaver Park,” but the theme keeps popping up amid her children’s lizard-catching exploits, her late husband’s biological observations, and Kirk’s own transcription of landscapes into artwork. Kirk’s book chronicles a year-long tour of national parks her family took in 1976 across Southwestern deserts, mountains, and plains. Her biology-professor husband managed to combine sabbatical field research and a year of family camping trips, and Kirk took the opportunity to sketch and paint everything she could. As she tried to copy the shapes and shadows of pine cones, scrub brush, and canyons onto the page, Kirk found that her sketching hand kept repeating the same shapes. Smoke billowed from her family’s campfire in the same way that water roiled in whitewater rapids they passed. Ridges and peaks were staggered in the mountain ranges Kirk painted just like ripples across a campground lake, like ancient ocean currents fossilized in the sandstone beneath her feet, and like the striations of cirrus clouds far above her head. “So many things are put together using the same patterns. You get this incredible sense of unity,” Kirk said. These observations, and the simple act of spending time outside and feeling connected to the natural world, made the sabbatical a trip of spiritual renewal for her. A pilgrimage, she calls it in the subtitle of her book. “I was not seeking anything like that. I was not looking for it … We just went out there to enjoy ourselves,” she explained. “It was very gradual. You just begin to get this feeling that there is something more out here, and you get these epiphany moments,” Kirk said. “Pretty soon you find yourself talking to God,” she added. “I liked the fact that in that particular book, you have the two perspectives operating next to each other, her husband’s perspective as a scientist and her the artist. They were totally integrated,” said Winona Poet Laureate Ken McCullough. Kirk excerpts large chunks from her husband’s and her daughter’s journals from the trip. That fills the book with multiple people’s perspectives and sets it apart from most memoirs, McCullough explained. 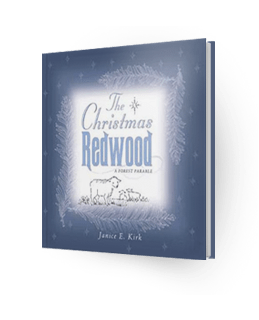 From Tuscon to Telluride, Redwood to Bryce Canyon, Kirk’s book combines nature writing with an artist’s journal and a guide to national parks. 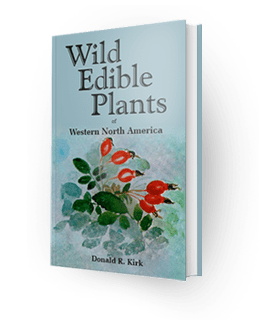 Kirk has written other books on nature and spirituality and helped illustrate her late husband’s handbook on wild edibles, and she is a believer in the importance of marveling at nature preached by Rachel Carson’s “The Sense of Wonder” and Richard Louv’s “Last Child Left in the Woods.” While few may be able to afford the luxury of a year off to go camping, Kirk hopes that others will find opportunities to get outside, even if it is just in the backyard, and benefit from a closer relationship to the natural world. Kirk also hopes that her writing may pass on to readers some of the joy and peace she experienced from her communion with nature. 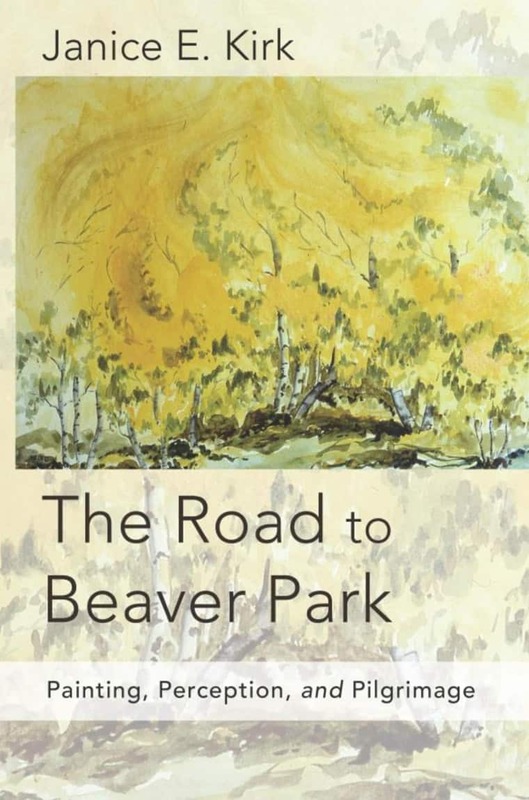 ➥ The Road to Beaver Park is a travelogue full of wonder and insight. Jan’s artistic perception unveils the beauty and order of the Western United States—evidence that fuels the spiritual pilgrimage that sneaks up on her along the way. I was moved by her honesty and the lovely imagery of her words. ➥ It’s like an enlightenment book. Reminds me of Travels With Charlie (John Steinbeck). Beaver Park is about traveling the country and growing as an artist as well as a growth in faith. I have spent many a morning in a duck blind waiting for the sun to rise and understand some of the same feelings. ➥ The Road to Beaver Park gave me an entirely new perspective on the wonders of the earth and of nature’s diverse life. Seeing the world through the eyes of a painter expanded my appreciation for what is around me. Jan uses her observations as evidence of a Creative Force behind the harmonies and complexities of the natural world. Beaver Park is an easy–to–read story of one woman’s journey to find her spiritual home. ➥ I got halfway through the Prologue, and I’m already crying…I can’t put this book down. Jan’s story narrative hints of Barbara Kingsolver and Rachel Carson, but with a clear voice all her own. Great book! ➥ Going through the process of awakening the senses and learning your craft was particularly fascinating. It reminded me of a Harvard prof’s paper about “the observant eye”, calling it the most important lesson each field scientist needs to learn as part of our craft. Any ecologist must go out and observe everything before making conclusions. Too many products of environmental education programs have used information from books and data, never drawing real life conclusions or even verifications…It continually struck me that your conclusions from art and those from science are the same–patterns, confluence, the “web of life”, etc. I’ve always considered life itself a great gift to each of us, but understanding the oneness of it all is an even greater gift. ➥ I finished your book and I love it…you were over my right shoulder talking to me, and Don was on my left. I loved the way you wove your testimony into the narrative! Great job! I also enjoyed your discussion about artistic perception…Beaver Park is a great book and I am sharing it with others. ➥ Everyone will glean info from this book. Even if they are not going to the same places they can use all of this info wherever they travel. The parts about flowing lines are so educational even though it is something we should already know. Great stuff! Loaded with information—natural history, travelogue, painting lore, and family having fun. Enjoy!